Bangkok's Cinema Winehouse will be showing a trio of classic films this week. 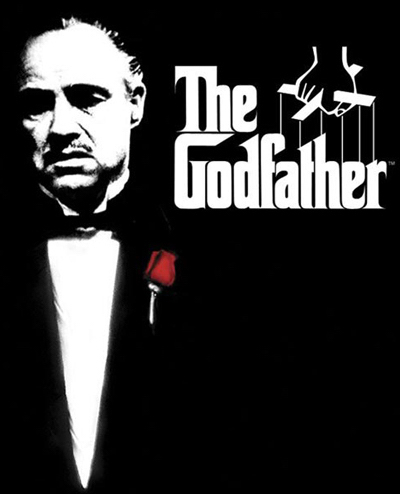 The Godfather is screening on 2nd May, followed the next day by The Third Man and The Wizard of Oz. Over the next four days, Bangkok's Scala cinema will be screening ten classic Thai films, chosen from a poll of the seventy greatest films from the reign of King Rama IX. The short season, สุดยอดภาพยนตร์ไทยในสมัยรัชกาลที่ ๙, begins this evening with Dang Bireley's and Young Gangsters (2499 อันธพาลครองเมือง), one of the films that launched the Thai New Wave and revived the national film industry. 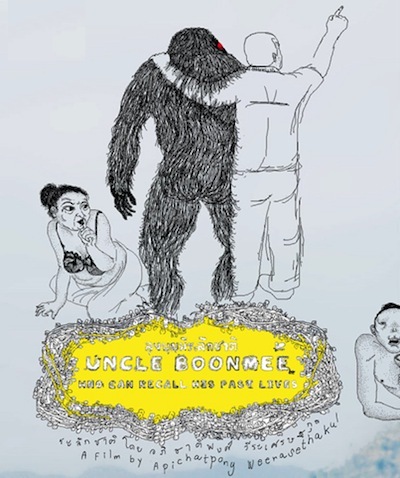 Uncle Boonmee Who Can Recall His Past Lives (ลุงบุญมีระลึกชาติ) is showing on Thursday, along with Mae Nak Phra Khanong (แม่นาคพระโขนง), the first colour version of the popular Mae Nak ghost story. All screenings are free. 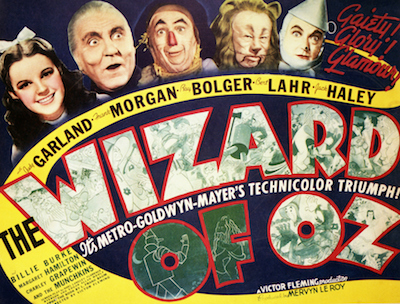 There are five classic films showing this week at Bangkok's Cinema Winehouse. 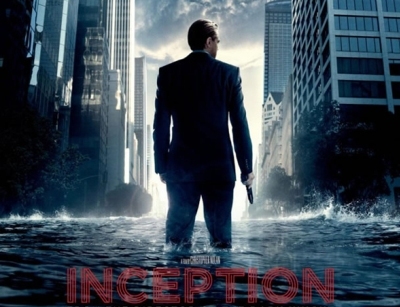 Inception is screening tonight, followed tomorrow by two masterpieces: Citizen Kane and Some Like It Hot. 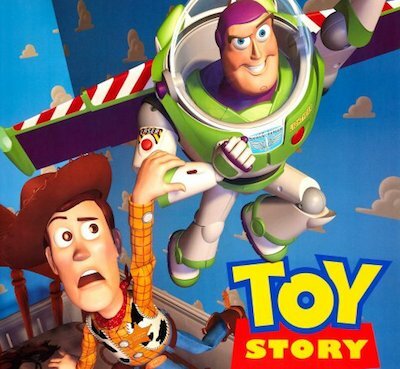 On Friday, it's the cult thriller Oldboy (올드보이), with Toy Story on Saturday. Scott Galloway's new book The Four: The Hidden DNA of Amazon, Apple, Facebook, and Google analyses the impact of the 800-pound gorillas of online technology: "Amazon, Apple, Facebook, and Google are the four most influential companies on the planet." Galloway calls them "the Four Horsemen," and Nick Bilton (author of Hatching Twitter) made the same point in Vanity Fair last November: "The four horsemen of the coming economic apocalypse - Amazon, Apple, Alphabet, and Facebook - have already flattened entire industries." Referring to the same tech oligopoly, former Google CEO Eric Schmidt called them the "gang of four" at the D9 conference in 2011: "Obviously, one of them, in my view, is Google, the other three being Apple, Amazon, and Facebook." Schmidt and Jared Cohen discussed the same four brands in The New Digital Age: "We believe that modern technology platforms, such as Google, Facebook, Amazon and Apple, are even more powerful than most people realize". The Wall Street Journal (on Boxing Day 2012) assessed the rivalry between the same four firms ("Apple vs. Google vs. Facebook vs. Amazon"). The Economist (on 1st December 2012) also highlighted the same quartet: "THE four giants of the internet age - Google, Apple, Facebook and Amazon - are extraordinary creatures. Never before has the world seen firms grow so fast or spread their tentacles so widely." 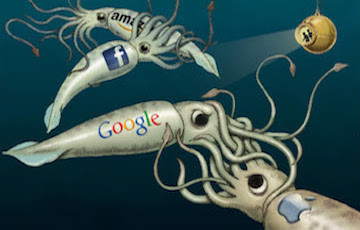 In a cartoon for the magazine's cover, David Parkins depicted the companies as giant squid. 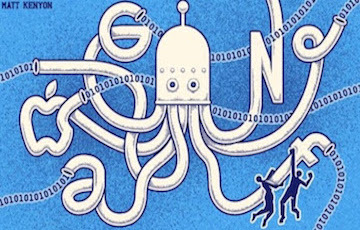 Continuing the cephalopod metaphor, an article by Galloway in the March issue of Esquire features an illustration by Andrew Rae representing the four companies as a giant octopus. 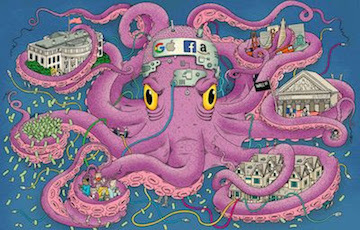 A cartoon by Matt Kenyon in today's Financial Times shows the so-called FAANG group (Facebook, Amazon, Apple, Netflix, and Google) as a mechanical octopus. Farhad Manjoo has also written extensively about this group of 'big tech' giants, initially in a Fast Company (November 2011) cover story: "Apple, Facebook, Google, and Amazon battle for the future". 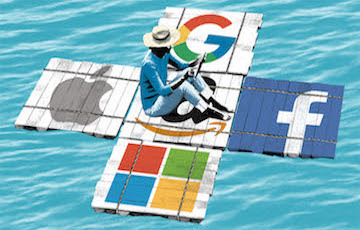 Adding Microsoft to the mix, Manjoo calls them "the Frightful Five" and his 6th May 2017 New York Times column featured an illustration by Doug Chayka showing a raft formed from the five logos. 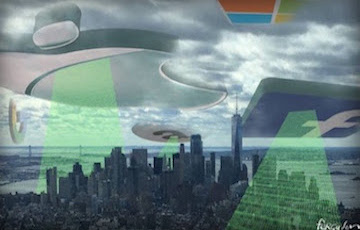 A photomontage by James Ferguson in the Financial Times on 15th November 2017 showed the same five as UFOs over New York. 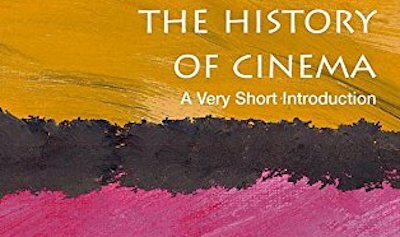 The History of Cinema: A Very Short Introduction is, as its subtitle suggests, a brief guide to film history. In only a hundred pages, it provides concise summaries of cinema technology, the studio system, and international film movements. Author Geoffrey Nowell-Smith previously wrote Making Waves, and edited The Oxford History of World Cinema, a definitive text which remains the gold standard for film-history books. The History of Cinema is a slim volume in comparison, though it has a useful annotated bibliography. 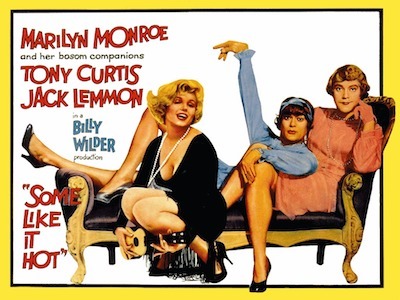 After the Songkran holiday, Bangkok's Cinema Winehouse is showing more classics this week. 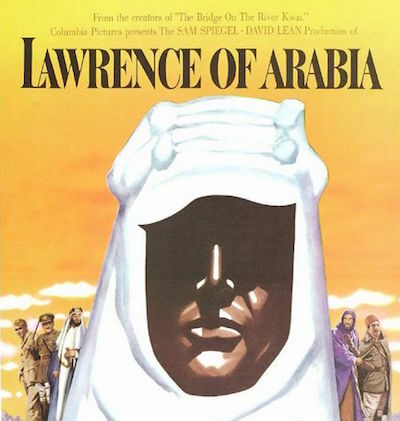 David Lean's epic Lawrence of Arabia is screening tonight. (It was previously shown in 2015.) 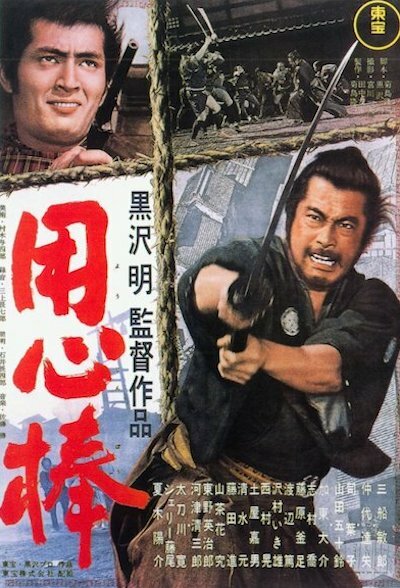 Tomorrow, it's Akira Kurosawa's Yojimbo (用心棒), previously shown as part of the Kurosawa retrospective at CentralWorld. 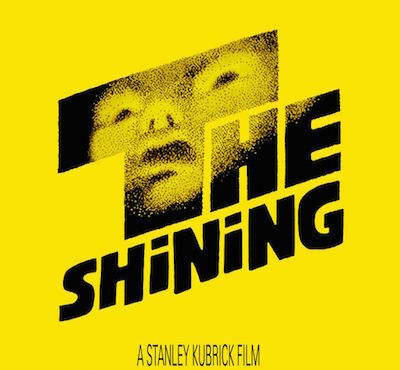 On Saturday, it's Stanley Kubrick's The Shining (last shown during the Cinema Scarehouse season). Cinema Oasis, the arthouse cinema that opened last month in Bangkok, will begin a season of political documentaries this month, after the Songkran holiday. The About Heroes season features Bangkok Joyride (บางกอกจอยไรด์), a documentary directed by Ing K. The film, divided into two chapters, is a record of the PDRC's protests in 2013 and 2014 against former prime ministers Yingluck and Thaksin Shinawatra. 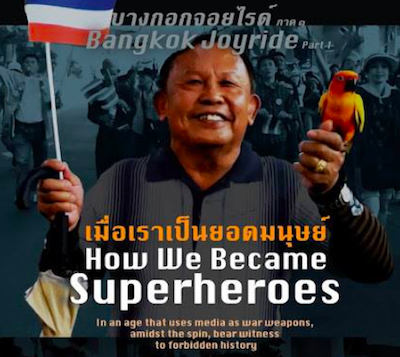 Chapter one, How We Became Superheroes (เมื่อเราเป็นยอดมนุษย์), covers the first stage of the protest, when Suthep Thaugsuban campaigned against a proposed amnesty bill. The amnesty was a blatant attempt to exonerate Thaksin of his corruption charges, and was unanimously rejected by the Senate. The film also features extended clips of a parliamentary no-confidence debate against Yingluck. Emboldened after defeating the amnesty bill, Suthep called for the dissolution of parliament and the establishment of an appointed government. Chapter two of the documentary, Shutdown Bangkok (ชัตดาวน์ประเทศไทย), covers the escalation of the PDRC's protests. Following the playbook of the PAD, the PDRC shut down major roads in central Bangkok and occupied government buildings, yet were unopposed by the police. The anti-democratic nature of the protest was revealed when the PDRC sabotaged the 2014 general election, which may be included in the forthcoming third episode, Singing at Funerals (เพลงแห่ศพ). Ing has also directed the banned films Shakespeare Must Die (เชคสเปียร์ต้องตาย) and My Teacher Eats Biscuits (คนกราบหมา). 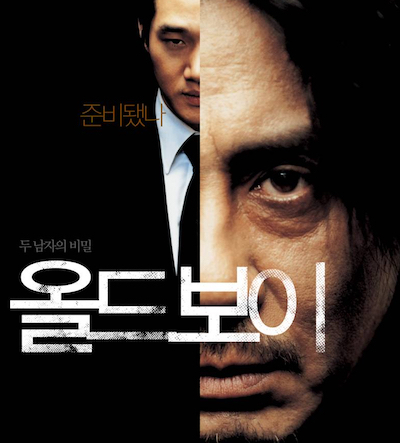 Her documentary Censor Must Die (เซ็นเซอร์ต้องตาย) was not banned as, according to section 27(1) of the Film and Video Act, "films of news events" are exempt from classification. When I interviewed Ing in 2016, she said: "this ruling has set a marvellous legal precedent for all documentary films. I'm going to use this ruling to exempt my next film (another cinéma vérité documentary, called Bangkok Joyride) from the censorship process. Then it's a matter of finding a cinema." She solved that problem by building Cinema Oasis. Citing the "news events" exemption, she didn't submit Bangkok Joyride to the censors, which explains why she was able to include a protester saying "Long live the King" in chapter one and a snippet of the royal anthem in chapter two. Boundary (ฟ้าตํ่าแผ่นดินสูง) was muted to remove a chant of "Long live the King", which was regarded as politicisation of the monarchy, and the royal anthem was cut from Soi Cowboy (ซอยคาวบอย) for commercialisation of the monarchy. 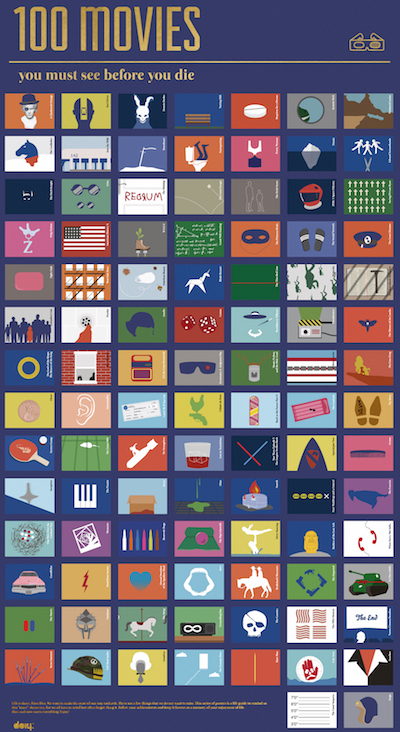 DOIY, a Spanish design company, created a poster in 2016 featuring a hundred classic films. The poster (100 Movies You Must See Before You Die) resembles an Advent calendar, as each film title has a flap that can be opened to reveal a stylised image from the film. 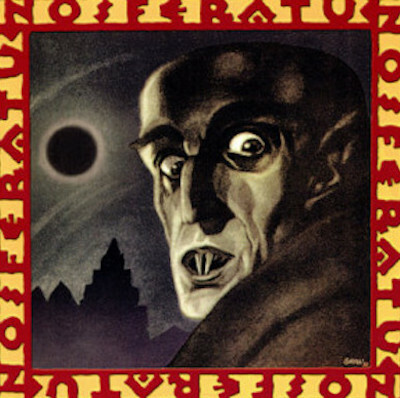 Two scratchable posters, Skratkz's 100 and One Must See Movies! and Gift Republic's 100 Movies Bucket List, have a similar concept. Author Dome Sukwong, who founded the Archive, is the foremost authority on Thai film history. His other English-language book is the folio-sized A Century of Thai Cinema. 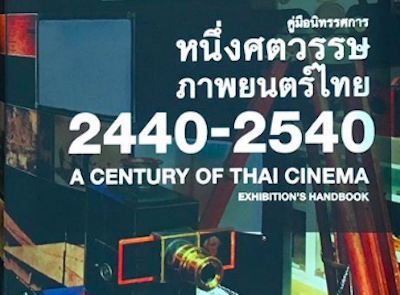 The only other books on Thai film history in English are Thai Cinema (Le cinéma thaïlandais; edited by Bastian Meiresonne) and the forthcoming Thai Cinema: The Complete Guide (edited by Mary J. Ainslie and Katarzyna Ancuta). 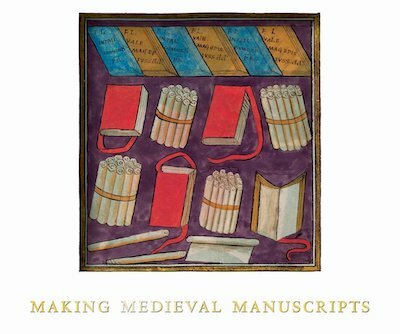 Making Medieval Manuscripts, by Christopher de Hamel, was published late last year. The book is a revised version of Scribes and Illuminators, and explains how manuscripts were written, illustrated, and bound. It includes glossy, full-page reproductions of manuscript pages, and a limited bibliography (which, perhaps out of misplaced modesty, omits de Hamel's previous books A History of Illuminated Manuscripts and Meetings with Remarkable Manuscripts). Yesterday's episode of the BBC Radio 4 series Archive on Four was a documentary marking the fiftieth anniversary of 2001: A Space Odyssey, "the most influential science-fiction movie ever made, and a film whose deeper meaning is still being actively debated." The programme was presented by Christopher Frayling (author of The 2001 File), who visited the Stanley Kubrick Archive and interviewed Pier Bizony (author of The Making of Stanley Kubrick's 2001: A Space Odyssey). There have been two previous BBC radio documentaries on 2001: Landmarks and The Film Programme have both broadcast episodes about the making of the film. 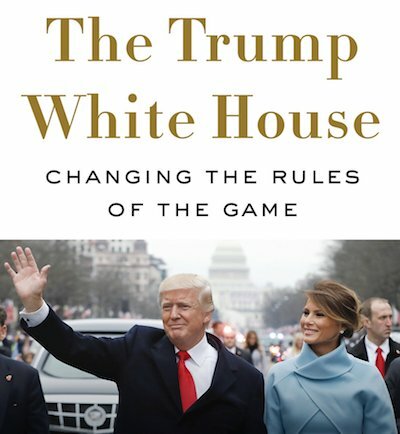 The Trump White House: Changing the Rules of the Game, Ronald Kessler's hagiographic response to Michael Wolff's warts-and-all Fire and Fury, was published today. Kessler writes that "Wolff's book is riddled with false claims," and he lavishes such praise on Trump that it feels like advertising copy: "the Trump brand came to stand for quality, prestige, and success." Kessler needlessly attacks Hillary Clinton, claiming that she "pretends to be a compassionate woman" and that she "is so nasty to her Secret Service agents" (an allegation that he repeats word for word later in the book). He also recycles Fox News talking points, dismissing any evidence of collusion between Trump and Russia: "the entire Russia collusion story is bogus". The book's only real interest comes from Kessler's repeated criticisms of Ivanka Trump and Jared Kushner. He argues that they "have been responsible for Trump's most disastrous decisions" and that President Trump would prefer them to leave the White House, though this was revealed by The New York Times a month ago. In the absence of any real scoops, the book is padded out with presidential trivia: Air Force One, for example, "has a range of 7,825 miles and a maximum cruising altitude of 45,100 feet." It also includes a brief interview with Trump ("the only interview for a book Trump said he has given or will give as president") conducted last year at Mar-a-Lago. 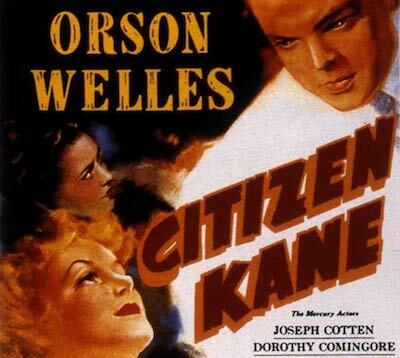 There are more classic movies this week at Bangkok's Cinema Winehouse. 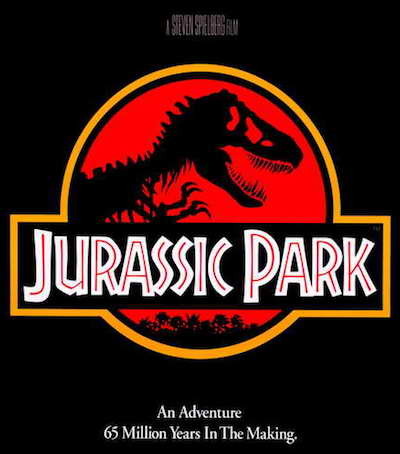 Steven Spielberg's Jurassic Park is showing on Wednesday, followed by F.W. 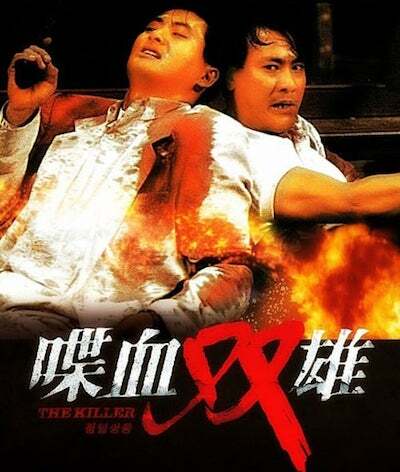 Murnau's Nosferatu on Thursday, and John Woo's The Killer (喋血双雄) on Friday. 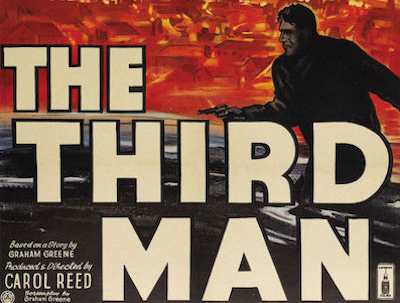 A Hollywood blockbuster for all the family, a silent classic, and a cult 'heroic bloodshed' thriller: it's hard to imagine a more diverse selection than that.